The Arizona Republic reported that Federal Reclamation Commissioner Brenda Burman has drawn a line in the sand for Arizona and other Western states to finish a deal to take less water from the Colorado River or the federal government will be forced to step in and decide how to prevent reservoirs from falling to critical levels. Many pieces have yet to fall into place for Arizona to finish its part of the agreement and join California and Nevada in endorsing the Drought Contingency Plan. The plan's success or failure will turn on the actions of a few key players, including leaders of the Legislature, tribes, farmers, cities and the state's water managers. Arizona is the only state that by law needs the Legislature's approval to participate. To finish the agreement, the state Legislature would need to pass a package of legislation making the deal possible and allowing for its signing. Whether that will happen before the deadline isn't clear. Supporters of the deal, including Gov. Doug Ducey and the state's top water managers, say failing to act in time would put Lake Mead on course to decline more rapidly and would signal an inability to come up with water solutions within the state. 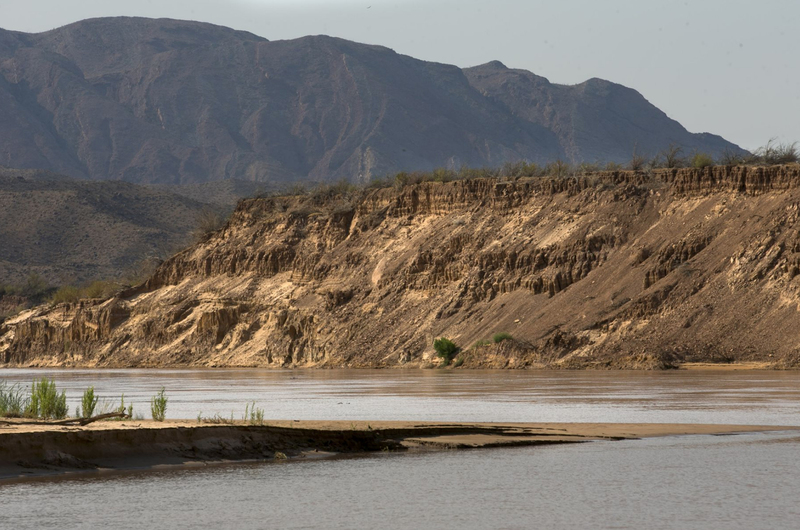 "If nothing is signed by Jan. 31, then we are basically jumping over a cliff and we don't know what's at the bottom or how deep it is," said Sarah Porter, director of the Kyl Center for Water Policy at ASU Morrison Institute. She said the drought plan would give Arizona and other states a degree of control over their water future. If the Bureau of Reclamation steps in and imposes its own plan, it's unclear what the results might be. The lack of an agreement would bring great uncertainty, Porter said, and could spur more water agencies to rush to draw out water they've stored in Lake Mead, accelerating its decline. Lawmakers received a first draft of the proposed legislation from Ducey's office on Jan. 16. The plan focuses on spreading the water cutbacks among entities and lessening the economic blow for those with the lowest priority, providing "mitigation" water to farmers in central Arizona while paying compensation to other entities that would contribute. The proposed legislation includes several tweaks to state law to make the plan work. If lawmakers get behind the plan, it could sail through quickly. But it's also possible that some groups and their allies in the Legislature could try to tack on unrelated water legislation, which might elicit opposition and derail the agreement. Many water experts describe the drought plan as a first step in a larger process of retooling of how the river is managed. Porter said she thinks it's possible for the Legislature to act quickly. It did back in 1980, when lawmakers were called into a special session and just seven hours later passed Arizona's landmark groundwater management law. The only thing the Legislature needs to act just as quickly this time, she said, is the will to get it done.